He took 2nd place in the Bee, qualifying him for the National History Bee in Arlington, Virginia, on April 26-27. 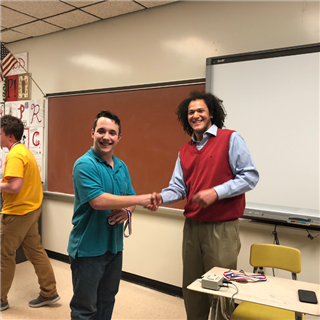 Paul also took the International Geography Olympiad exam on March 9, placing first, and the National U.S. History exam, in which he qualified for Nationals in Washington D.C., on April 26-28. “I always loved history, even from a very young age. I find it interesting how the lessons we see from history still apply to this day, and that history repeats itself,” Paul said.